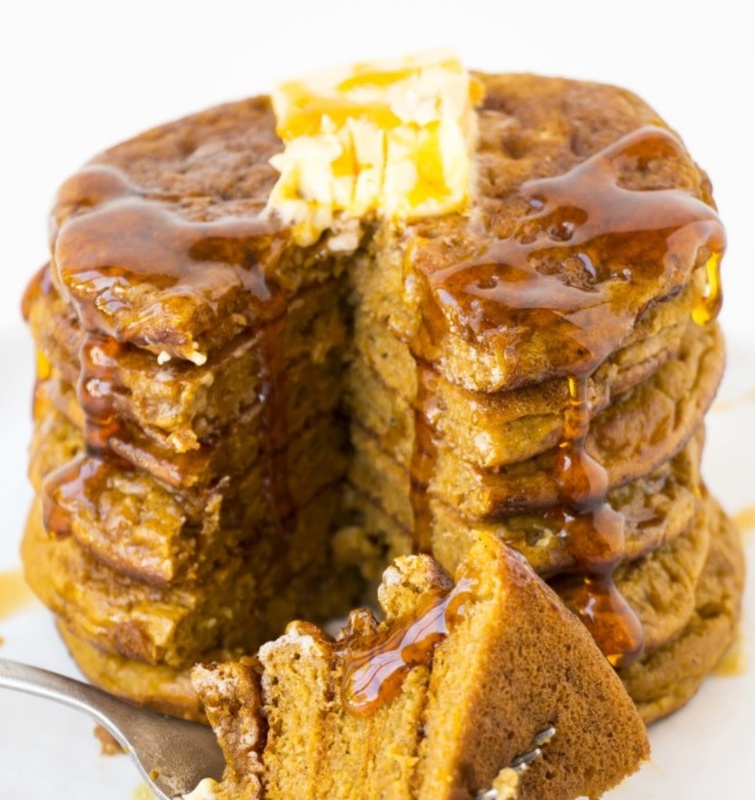 Fluffy Pumpkin Pancakes By Jane - Baking Ginger. The perfect fall breakfast or dessert. The fluffiest pumpkin pancake recipe. Delicious and even comes with 2 healthy topping ideas.